Who Can File a Small Claims Court Case in Collier County? The pre-trial conference is used for the court to attempt to see if your case can be resolved without a trial. This is usually done with an informal settlement conference or mediation. If the pre-trial conference is not successful in resolving your case, the court will set it for trial. It is important for the plaintiff to ensure that the Defendant (and all of them) have been served prior to the pre-trial conference, or the court will cancel the pre-trial conference date. Appearances at pre-trial conferences by both plaintiff and defendant are mandatory. A person representing someone else at a pre-trial conference needs to have full settlement authority otherwise the court may award court costs and attorneys fees against a party that does not comply with this. A corporation may be represented at the pre-trial conference by an officer of the corporation or any employee authorized by an officer of the corporation. Depending on how many defendants are involved in a case and when each defendant was served, the court may schedule different dates for pre-trial conferences on the same case. If this occurs, the plaintiff is still requires to attend all the different pre-trial conference dates. How do I file a small claims court case in Collier County? The plaintiff needs to obtain and complete a Statement of Claim form which is found at the Collier County Small Claims Court Clerk’s office. The form needs to be typed or printed with a pen to ensure the legibility. Small Claims cases can be filed at the Collier County Courthouse which is located at: 3315 Tamiami Trail East Naples, FL 34112 The courthouse can be reached at: 239-252-2646. Costs for filing a small claims court case in Collier County consist of the filing fee (which is based on the amount of money you are seeking in your claim) and a service fee for bringing each defendant to court. If a party obtains a judgment in its favor, these court costs can be added into the total amount of the judgment. You should contact the Collier County Clerk Court to inquire about the specific amount of the filing fee for your case. Can I have a jury in my Collier County Small Claims Court Case? Even though it is small claims court, a jury trial is available. Even though a jury trial is available, the large majority of small claims court cases are heard in front of a judge. The plaintiff or defendant can both make a request for a jury trial. Pursuant to Small Claims Court Rule 7.150, the plaintiff can file a written demand for a jury trial when filing the suit, and a defendant can request a jury trial either within five days of being served notice of the action or at the pre-trial conference. If neither the plaintiff or defendant request a jury trial, the case will be tried in front of a judge. After the filing a case, the Defendant needs to be served (the court cannot move forward with the case until service of all Defendants has been completed). It is very important that you have the full name of the individual you want to sue. The plaintiff also needs a good address of where those individuals can be served. In order to sue a business, you must determine whether the business is incorporated. If the business you are suing is incorporated, you need to learn the full name of the corporation and the name and address of a corporate officer or registered agent. This information can be obtained through the Florida Department of State, Division of Corporations at 850-245-6052 or online at http://www.sunbiz.org. You also need to learn if the business is operating under a ficitious name. The Florida Department of Corporations can be used to research this as well. Before you file a small claims court action in Collier County, you should communicate with the other party about what is exactly in dispute. The best way to accomplish this is to write a short succint letter outling your position and deliver it to the other party. You may be able to resolve your case without going to court. Sending this initial communicaiton will be the simplest and most efficient way of resolving your case. 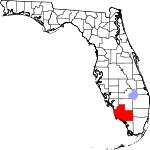 Small Claims court cases in Collier County are governed by the Florida Small Claims Rules. In Florida, small claims court actions can only be filed in the county where the Defendant lives, where the incident giving rise to the action occurred, or where the property involved is located. If none of these apply, then the Collier County Small Claims Court will not have proper jurisdiction to hear the case. If the court does not have jurisdiction, this would allow the judgment you obtain to be attacked by the defendant afterwards when you begin to collect it. A claim of up to $5,000.00, not including costs, interest, and attorneys fees, can be filed in small claims court in Collier County. Chapter 34 of the Florida Statutes and Rule 7.010 authorize the limit on small claims court cases.